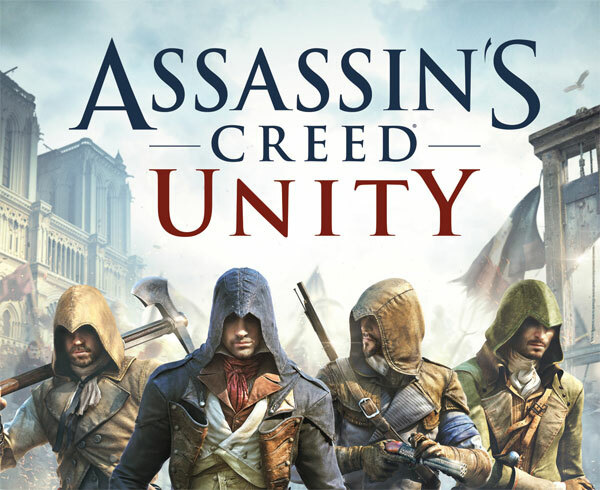 "Assassin's Creed Unity", Ubisoft's historical action-adventure video game set in the city of Paris, is now available via digital download from the Xbox Games Store for Xbox One. Assassin's Creed Unity is an action/adventure game set in the city of Paris during one of its darkest hours, the French Revolution. Take ownership of the story by customising Arno’s equipement to make the experience unique to you, both visually and mechanically. In addition to an epic single-player experience, Assassin’s Creed Unity delivers the excitement of playing with up to three friends through online cooperative gameplay in specific missions. Throughout the game, take part in one of the most pivotal moments of French history in a compelling storyline and a breath-taking playground that brought you the city of lights of today. There are 2 versions of Assassin’s Creed Unity available – the standard edition and the Gold Edition. Click each link for more details or see below. Assassin’s Creed Unity standard edition, available starting today for $59.99. Assassin’s Creed Unity Gold Edition, available starting today for $89.99 and is the ultimate version of Assassin’s Creed Unity and the full Season Pass. Check out the official launch trailer for Assassin's Creed Unity below. Assassin’s Creed Rogue is also available for Xbox 360 today.